Spring care of the asparagus bed involves weeding and feeding. spray the asparagus bed with glyphosate (Roundup) in early spring (as long as no asparagus have emerged). after a few days, when all weeds are dead, cover the bed with mulch to stop more weeds growing. 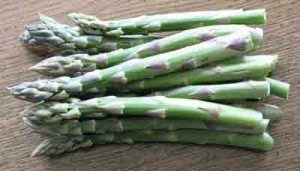 keep the bed weed free by hand weeding – do not hoe because asparagus are shallow rooting. Giving the asparagus bed proper care in the spring will allow the asparagus to fruit to its full potential.